Surfing Greece: Poseidon knows how to make waves. Greece will hardly be your first thought when it comes to surfing. The relatively small Mediterranean Sea is not very famous for surf. And if it produces surf at all, it’s most likely choppy windswell. You are so wrong. With the hype around surfing and the growing numbers of landlocked travelers, it’s hard to understand why Greece is not yet on the map as surf destination. Almost perfect waves in offshore conditions were waiting for us in Lygia Beach. 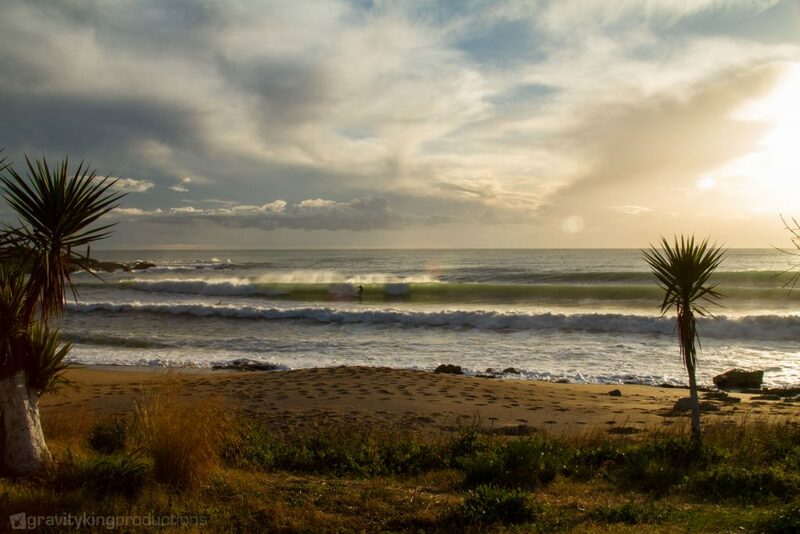 If you have a closer look, the Mediterranean Sea offers some very good surf during the colder months of the year. Better known spots like Varazze and Capo Mannu already showed the potential to the surfing world. Greece with it’s 13’676 km of coastline doesn’t run behind. In fact it’s home to some of the best breaks the Med has to offer. The main surfing area is found on the west side of the country facing the Ionian Sea. Additionally, there are over a 1’000 islands in total of which around 200 are inhabited. Even though most of them lie in the Aegean Sea, cut off from bigger swells, there is still endless potential for surf. Where the waves come from. In the northwest, there are three main wind systems that bring waves as soon as the winds are around 6 beaufort and stronger: the “Ostria“ from the south, “Garbis” from the southeast and “Sarocos”, also known as “Sirocco” from the southwest. With most of the coastline exposed to that winds it’s not hard to conclude that it can be within a matter of hours wheter you score or not. The winds needed to produce waves can easily spoil the fun as well. The locals are very friendly and will help you out anytime. They seem to like travelling surfers and have the knowledge about the spots and when and where to go. They will also help you with anything else. No matter if you are looking for food or for a place to stay overnight. Probably the second best way to connect with the locals (the best is off course in the lineup) is to join surfingreece on their Facebook and Instagram. This way you will know when it’s on and it’s nice to be connected with your Greek fellas.